WELL GUYS... another year has gone and it is time to dress up again!! Woo Hoo! This year I decided to go to two parties which of course meant two totally different costumes. 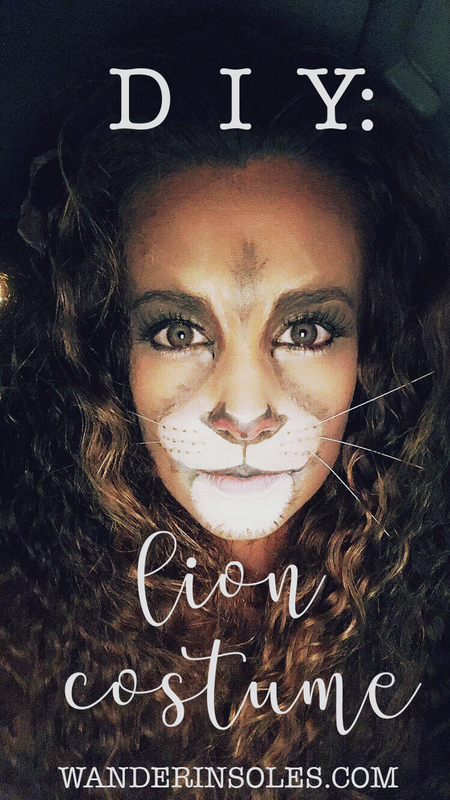 I decided to stick with the safari animal theme from last year and decided to be a lion. It has been my favorite make up to date! And bonus-- I got an entire group to dress up Circus themed with me!! Haha I seriously have rad friends. For my body suit and tail I went to Joann's and found some faux fur fabric and a hidden zipper to match that felt like a lion would. For the bushy tail I used brown yarn which I brushed out to make it more hair like. Speaking of hair, for that I gave myself a golden ombre(I know I'm crazy for doing it myself and a bit extreme for changing my hair just for a costume) and put my hair in corn rows for a week to get the texture I would need. Once again I ran into the same problem as last year trying to find a good tutorial on lion face make up so I printed out a picture of the actual animal and went to work. For make up I used only the finest: BEN NYE!! Seriously guys, believe me when I say this is the only way to go when putting this kind of make up on. Make sure you apply dermashield before to help with the application process go on smoothly and it totally helps with breakouts! Don't forget to use lots--and I mean lots of translucent powder with a puffer until your make up doesn't feel wet or sticky. Then lightly mist with setting spray and you'll be worry free for the night! If you need to buy stage make up and don't have a store close to you check this site out! This year I also finally invested in colored contacts so it would look more real. I'm pleased to say I liked this even BETTER than my giraffe costume! Maybe I should keep up with the trend and be a safari animal every year!